Strange things happen on All Hallow’s Eve. On Tuesday, October 30th at 5PM, you will see a parade of little monsters and fantastic creatures marching down the Boulevard! 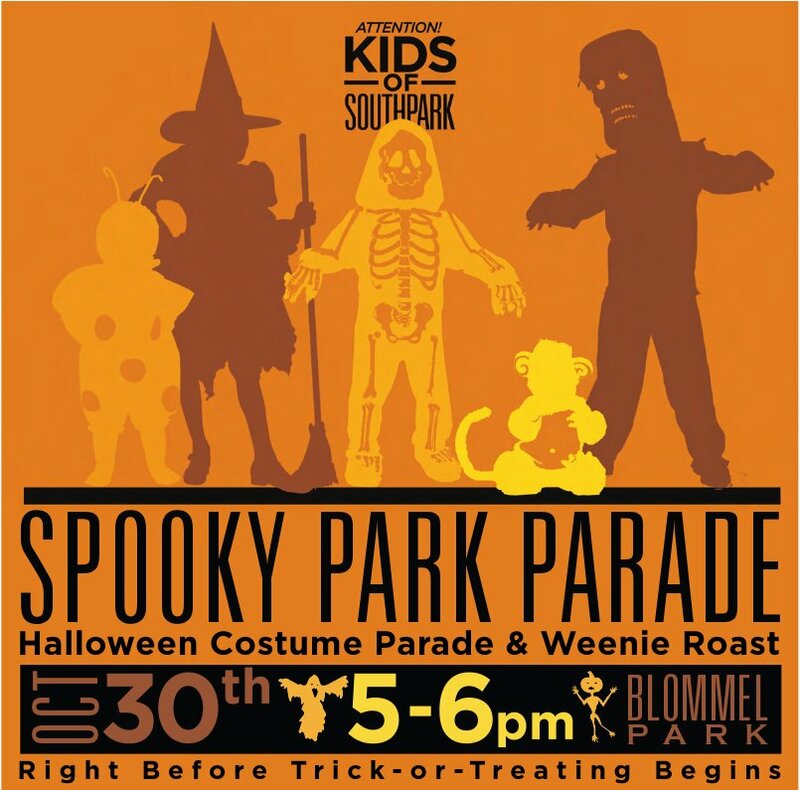 Your family is invited to Historic South Park’s annual costume parade and weenie roast. Please come to Blommel Park (Jay & Park Dr) at 5PM for a free hot dog, and then line up for the parade. The parade will cover about two blocks. Adults, you are welcome to accompany your children if you are also in costume yourself! Grandparents, bring your grandkids! By 6 o’clock–the start of Beggars’ Hours–all young costumed creatures are set free to trick or treat. You’ve been warned! Bwa-ha-ha-ha! ← First-Ever Yoga on the Boulevard!